For this comparison, I'll be reviewing 40" to 43" television sizes. This makes it easier for those of you who are comparison shopping by price, and let's us focus on features rather than screen size. Every item reviewed is available in a smaller or larger size. 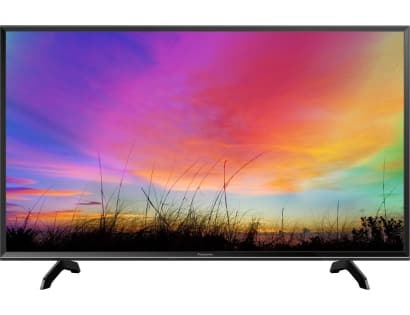 If you need a set smaller than 40", I'd check out our 720p TV Comparison. Probably one of the most visually appealing television designs that I've seen. Looks are not why it is the top pick though. Sony has come a long way and has a clear winner with this model. Picture Quality - Super clear. With built-in noise reduction and high refresh rate (Motionflow), even the fastest action sports are captured in stunning detail and clarity. Apps - Being a 2016 model, you have the latest versions of Netflix, YouTube, Hulu, and more from the Opera Apps System. It has built-in Wi-Fi, so no need for network cables to get connected. Inputs - Has dual HDMI inputs and dual USB inputs for playing music, videos, and photos from your USB drive or stick. You can also mirror your smartphone to the TV which is a neat feature. Looks - Super narrow frame, super thin. This looks great on the provided stand or wall mounted. As mentioned on our 720p comparison page, I'm in love with the Roku TV. If you've never used a Roku streaming device before, it's hands-down the best TV interface you could ask for. Apps - Over 3,000 streaming channels, including Netflix, Vudu, Hulu, HBO Now, Amazon Video, YouTube, you name it. Searching across apps is super easy with a global search system. 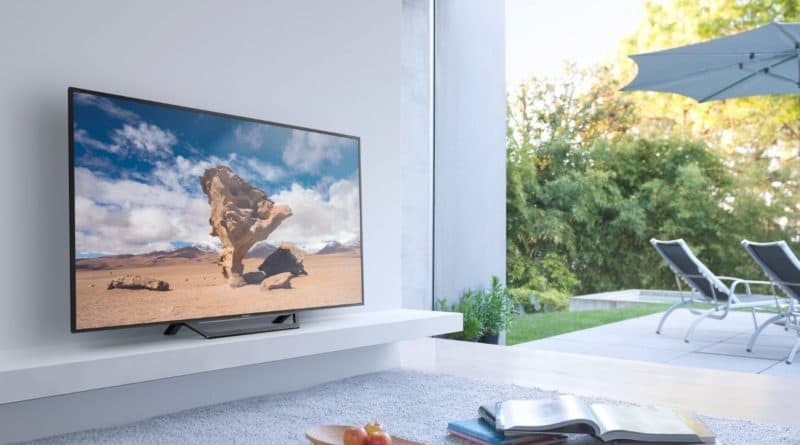 Picture - TCL rivals the big boys with their picture quality. Whether looking straight on, or at an angle, you always see a crisp picture. The viewing angle on this model is amazing. Lighting is via a full array of direct-lit LED, so it's crystal clear from the edges to center of the screen. Remote - I normally don't comment on the remote control, but the Roku TV is special. It's super easy to use and figure out. There are a very limited amount of buttons, and using it is very natural. I've never had anybody, young or old, that is not able to easily use it. Casting - you can mirror your smartphone and tablet screen to your TV easily. This allows you to use apps on your phone (Google Play or Apple Store) that might not be available natively on the Roku. Inputs - 3 HDMI and 1 USB for watching videos, photos, or listening to music from an external drive or USB stick. 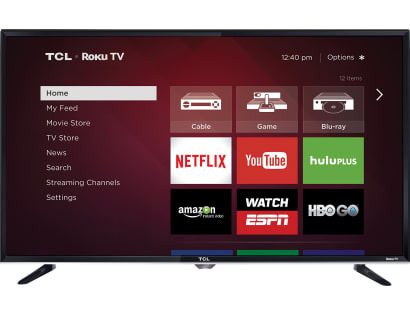 Additionally, I'd like to mention that the Roku TV received Editors' Choice award from PCMag, among others and is a Netflix recommended and certified TV for real HD streaming. Samsung is one of my favorite brands of any type of electronics. Competition is good, and that has pushed Samsung to create an even better model than previous years. Picture - Full HD 1080p with 60hz refresh rate that beats up on the others brands who claim their 120hz refresh rates are better. Even with fast action scenes or sports, you see a clear picture without artifacts or jagged edges. Apps - You can install any app from their Samsung Apps store. This includes Netflix, YouTube, Skype, Pandora, games, etc. They have a huge variety. Built-in Wi-Fi also allows you to stream content from your smartphone or tablet. Unique with the Samsung is the built-in ability to surf the web using their browser. Inputs - 2 HDMI inputs and a USB port to play movies, photos, etc from an external drive or storage stick. Remote - With Anynet+, you can manage up to 12 compatible Samsung devices with the single remote control. Nice feature if you are a Samsung fan. Energy - You can use Eco mode to adapt the brightness of the screen to your room's needs. Sound - Unlike most built-in speakers, this model can fill a room with sound quite well. While I would normally recommend a soundbar for a larger room, you can usually achieve the same with the J5200 by just turning the volume up via the remote. 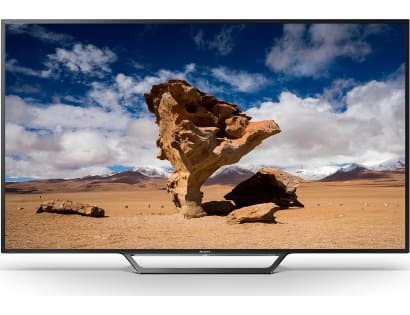 I am already using a 32” LG smart tv but now wanna replace it with Sony 40″ smart TV and your review could help me a lot.